A recent post discussed how half of employers were using at least one value on investment (VOI) measure to track success, including employee engagement (30%), turnover (22%), absenteeism (18%), productivity (17%), and recruitment/referral rates (13%). This is nearly doubled the amount (28%) of employers tracking the return on investment (ROI) for their employee wellness programs. As employers continue to build the case for employee health being critical to organizational success, the definition of VOI broadens to include all aspects of a group’s goals and objectives. A great example of the far reaching impact of employee health was recently featured in a Corporate Wellness Magazine article. 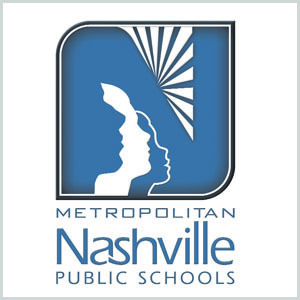 Metro Nashville Public Schools (MNPS) originally launched a wellness program to contain healthcare costs as well as improve teacher attendance, morale, and performance evaluations. Several years into the program, arguably the most noteworthy return from the wellness program may be student achievement as measured by their standardized American College Test (ACT) scores. Using a proprietary composite index of health, wellbeing, and engagement (WellScore®), MNPS was able to analyze a wide array of VOI measures. Part of this examination included non-traditional benefits of employee health. For example, MNPS examined how healthier teachers would affect learning among the 83,000 students it serves. “A healthier MNPS workforce has been tied to higher academic achievement. A dramatic correlation was seen between teacher wellness ratings and student ACT scores. For example, teachers with higher WellScore results had superior teaching evaluation scores and lower absenteeism rates.” The article is worth reading to dig deeper into why student achievement improved with employee health, but in short, lower absenteeism results in a less substitute teaching, which is often associated with students having difficulty focusing. The big takeaway is that employee health has an incredible impact on the goals and objectives of an organization. In the case of a school district, whose mission is to educate its students, employee health impacted academic achievement. Whether its customer service or quality control, employee health can and should be seen as a way to impact an organization’s core goals and objectives. By broadening the definition of its impact and VOI, employers can more easily make the case for employee health as a business strategy.